Flash drives: we know, we know... they were the kind of thing you carried about everywhere you went until about three years ago when your phone, and cloud storage, took over. However, since then flash drives have gotten very clever, and a hell of a lot cheaper. Checking out a drive that you don't even have to plug in to access, we review the SanDisk Connect Wireless Stick. From the outside this looks just like a conventional USB flash drive, right? Well, in many ways, it is. Take off the cap, plug it into a USB port, and you can access all your saved files and documents on there. 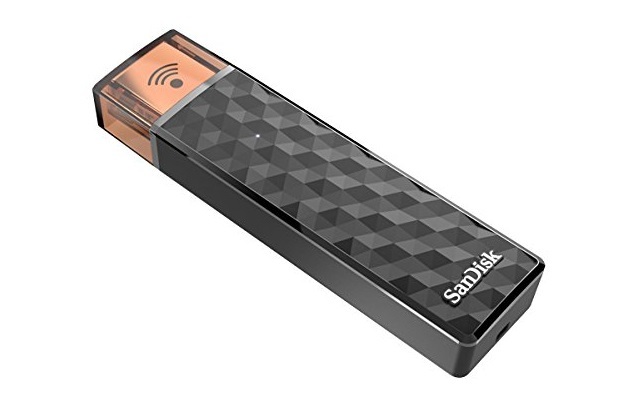 We were sent the pretty ordinary 32GB version, but the SanDisk Connect Wireless Stick also goes up to a capacity of a far more impressive 256GB. But, as well as being to get to your stored data via the physical port on your laptop, you can also access it with your phone or tablet wirelessly. The SanDisk Connect Wireless Stick generates its own small WiFi network, and once you have the SanDisk app installed (Android and iOS) you can get in there. You can browse and open whatever is stored and view it on your mobile device; even stream large media files that might be saved there. It's all very clever, you know? The point of this? The SanDisk Connect Wireless Stick keeps the full-sized USB 3.0 connector for the very logical reason that USB 3.0 will no doubt be sticking around for at least a few more years. However, your phone, tablet, and possibly also your brand new laptop, might not have that kind of port, using Micro USB, USB-C, or Apple's Lightning port. In those instances you can use the wireless, and we found it very convenient to turn on the drive while still in a bag, then access it without having to get it out. Those transfer speeds were quick, too. Ideally you would load all the big stuff, such as large photos and videos, from your laptop via the USB. But accessing them via the wireless never presented any kind of lag or delayed loading. We used ours to watch a few high-def TV episodes we had loaded on there while on the bus, and they played as if we were streaming from Netflix over the house WiFi network. Impressive. And we mentioned price. Right now, incredibly, Amazon has the 32GB version for only £21.99. That is about what you would pay for a normal, non-wireless 32GB SanDisk drive anyway. 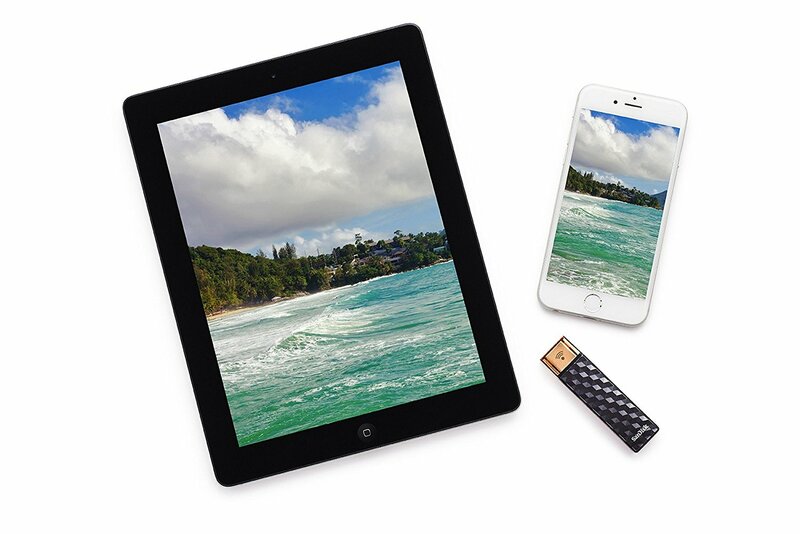 Also, the larger and probably more versatile 128GB version is only £59.99. Again, a killer bargain and we recommend you go for it while you can. So a great device - one that seems to be future-proof - at a great price. Check it out.